Apple Best Books of 2017. Audible Best True Crime Book of 2017. Amazon Best Book of the Month. In 2011, Ross Ulbricht, a 26-year-old libertarian idealist and former Boy Scout, launched "a website where people could buy anything anonymously, with no trail whatsoever that could lead back to them." He called it Silk Road, opened for business on the Dark Web, and christened himself the Dread Pirate Roberts (after the Princess Bride character). The site grew at a tremendous pace, quickly becoming a $1.2 billion enterprise where you could buy or sell drugs, hacking software, forged passports, counterfeit cash, guns, grenades, and poisons. 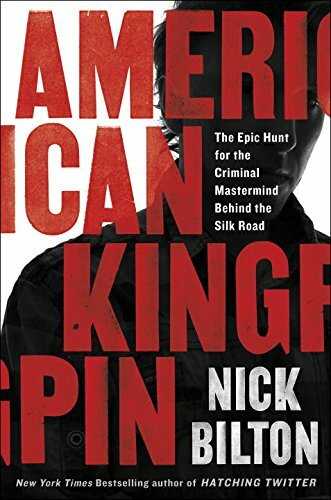 This is a true-life thriller about ambition gone awry, spurred on by the defining clash of our time: the new world of libertarian-leaning, anonymous, decentralized web advocates and the old world of government control, order, and the rule of law. Bilton's dazzling rendering and gift for narrative make for an endlessly fascinating drama.